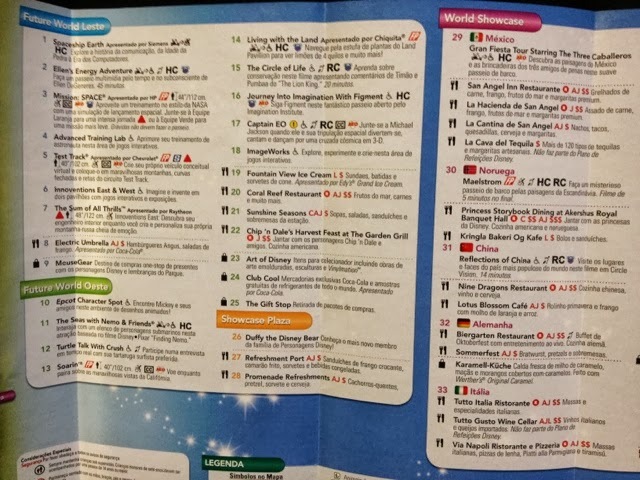 Did you know you can get Disney Park Maps in different languages? Maps are available on display stands just inside the turnstiles. (Can we still call them turnstiles, even though the new card/band readers don't actually "turn"? We can? Good.) 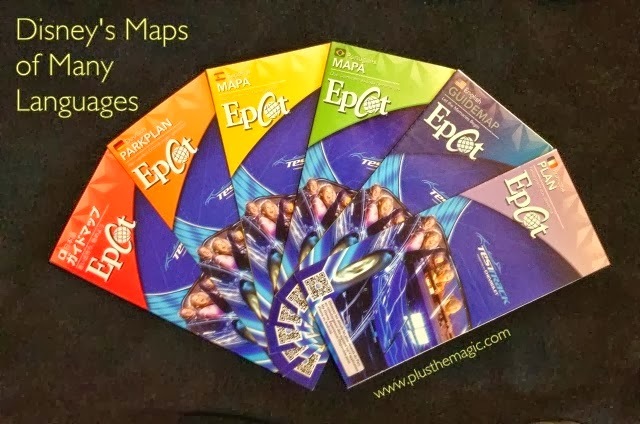 Maps can also be found at Guest Services, as well as at many gift shop registers. In addition to English, maps are currently available in Japanese, German, Spanish, Portuguese, and French. If your school system is one that frowns upon children missing any school for family trips, grab a few of these. They might just earn you some bonus points. Our school seems to be okay with the occasional missing of days, but we wanted to try to get a few maps to share with our language teachers, just for fun. We brought back a map for the French teacher, but unfortunately, no Mandarin Chinese maps are available. Not yet, anyway- perhaps when Shanghai Disney opens in a few years! 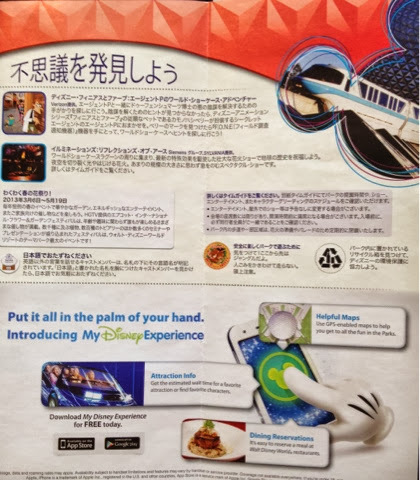 In all the maps, the advertisement pieces (ads for PhotoPass, DVC, Visa, and the My Disney Experience app, for example) remain in English. 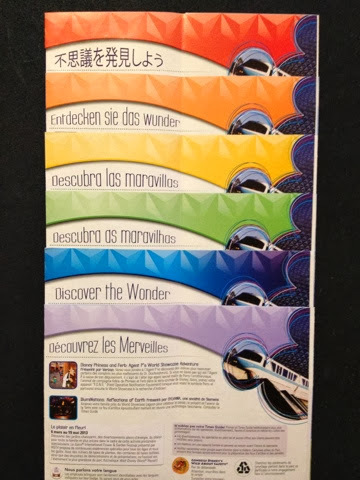 Have you ever wondered how to translate "Discover the Wonder"? Grab a set of these maps for a great no-cost souvenir (the French word for "memory"). Look for them during your next visit! Interesting information; thank you! Stopping by from Sharefest!